Traditional education about Western civilisation tells the story of how around 1500 CE, Greek texts recovered the lost memory of Europe’s Greek and Roman past and unleashed an era of progress in science and civilisation called the Renaissance. In fact, the progress in civilisation had begun in the eleventh and twelfth centuries, and was the result of the transfer of Arabic civilisation to Europe. The sixteenth century Renaissance was rather the construction of an exclusive Christian European identity within the world of literature and science. Latin humanists created a movement imitating the Arab tradition in its key values, but distinguishing itself by classical Latin as its lingua franca and the classical authors as its founding fathers. After a period in which classical culture was vigorously celebrated and Arab influences were attempted to be removed from the scientific canon, the image of a Greek source of European culture had settled itself firmly in the European mind. Scholars hardly dared cite an Arab in support of their revolutionary developments. Popular belief reaffirmed the theme of the revived classics by repetition after repetition until the Arabic heritage in Europe came to be forgotten. Biased educative material should be corrected to offer a true image of history to our youth. Traditional education about Western civilisation tells the story of how Europe, floundering in the ignorance and illiteracy of the Middle Ages, suddenly came across a number of texts in classical Greek which at once recovered the lost memory of Europe’s glorious Greek and Roman past. Science and literature started flourishing, and with the help of the brilliant Greek philosophers the dormant Europeans were able to shed the ignorance of Medieval times and open the doors of science and civilisation. This process has been called the “rebirth” of classical civilisation in Europe, the Renaissance. The story however is a myth, quite lacking historical substance. Other scientists of the twelfth century Renaissance indebted to the Arabs were Roger Bacon, Witelo, Albertus Magnus, Adam Marsh, Arnold de Villeneuve, Peter of Abano and Daniel of Morley. In the transfer of Muslim-Arabic civilisation to Europe, three important primary developments can be distinguished. 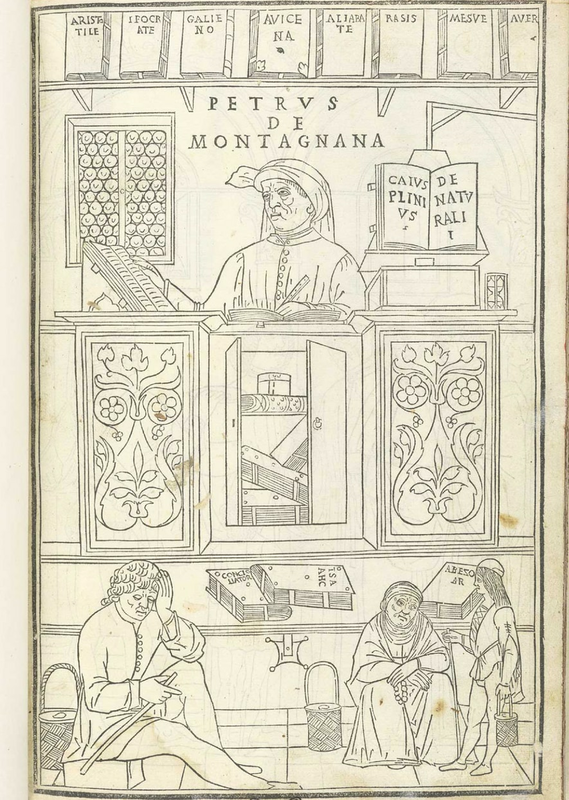 The first are the giant translation projects in Italy and Spain in the twelfth century, in which hundreds of Arabic books were translated into Latin. The second development is the adoption, primarily at the court of Sicily and in Al-Andalus, of the values of Arabic “adab”, which in Europe came to be known as humanism. This humanism was not an atheist philosophy, as it is often understood today, but comprised a set of disciplines such as ability in speech and writing, knowledge of grammar, poetry, erudition, scholarship and research into religious texts. The third development is the foundation of European universities after the example of the Islamic Jamias (George Makdisi, The Rise of Colleges: Institutions of Learning in Islam and the West, 1981). The first European universities were the University of Bologna (1088), Paris (c. 1150), Oxford (1167), Cambridge (1209), Padua (1222) and Naples (1224). A university lecturer at Padua (Italy) is surrounded by titles of twelve important scholars, six of which are Arabs and one is an Arab Jew. On the top shelf, the classical authors Aristotle, Hippocrates and Galen are followed by the Arab authors Avicenna, Haly Abbas, Rhazes and Averroës. Next to the teacher is Pliny’s Historia Naturalis. An important textbook by Ferrari from 1471 quotes Avicenna 3,000 times, Rhazes 1,000 times and the Greek authors Galen and Hippocrates 1,000 and 140 times respectively (Ibid., p.201). Many a Greek work was known only through the Latin rendering of their Arabic translation. 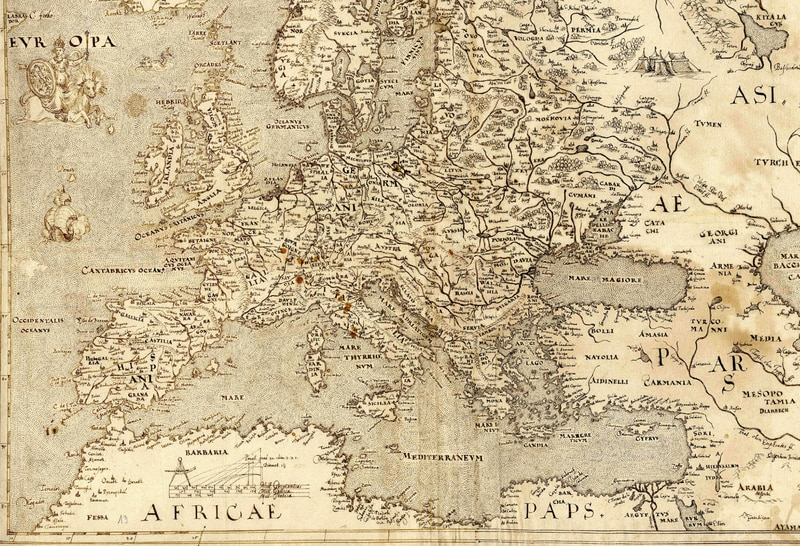 George Makdisi considers this fragment illustrative of the backgrounds of the further development of humanism in Christian Europe. Feeling increasingly uncomfortable with the Arab-Islamic identity of literature and science, Christians sought to create their own culture of learning, similar to, but competing with, the Arab tradition. Two important choices were made by the Christian humanists in their search for their own identity. As George Makdisi puts it, Christian humanists wanted to “answer the challenge of classical Arabic with an equally classical language” (George Makdisi, Humanism and Scholasticism in Classical Islam and the Christian West, Journal of the American Oriental Society, pp. 175-182. 1989). This language came to be Latin. Latin was the language of the Catholic Bible and was in this sense comparable to the Arabic of the Quran. Classical Latin, however, had been long ago replaced by vernacular Latin and was not anymore in use in everyday life. In order to make classical Latin meet the demands of a holy lingua franca like Arabic, it had to be literally revived from the dead. Christian humanists went out of their way to learn to write in the pure Latin of the Roman author Cicero, which ironically hardly anyone could read. With classical Latin as a new European lingua franca and the classical authors appointed the founding fathers of a new European tradition, the foundations of the Renaissance were laid – literally the “rebirth” of classical culture in Europe. This Renaissance was all but a spontaneous one; it was an artificial image imposed by Christians upon themselves, to be able to establish a competing culture of learning distinct from the Arab example.